New forms of science communication are constantly emerging. While books, journals, and newspapers still contribute to furthering science literacy, members of younger generations are now turning to online sources to educate themselves on the latest scientific developments. One of the more popular online sources are podcasts: a hands-free way of absorbing concise information in the car, at the gym or walking to class. For college students, this form of media is especially appealing due to the lack of reading required ­— a refreshing break from the often cumbersome amount of pages assigned to students on a weekly basis. This semester, the Cornell Institute for Climate Smart Solutions has joined the podcast trend with the release of its new student-run podcast, Down to Earth: Cornell Conversations About… The podcast is meant to serve as an open discussion about climate change led by students who are both interested in and knowledgeable about various relevant topics such as sustainable development, climate justice issues and biodiversity threats. The idea is to “bring the conversation back to climate,” said Danielle Eiseman, the podcast’s faculty supervisor, in its premiere episode. Eiseman also serves as program director of CICSS. 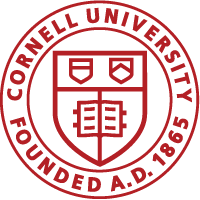 The podcast first began development last November after Eiseman pitched the idea to Engaged Cornell. After receiving funding and holding tryouts for members of the student community at the end of last semester, five undergraduate students of various years, majors, backgrounds and interests were selected to participate.